The club has an active racing program. 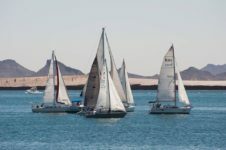 There are two regattas each year at San Carlos, Mexico. 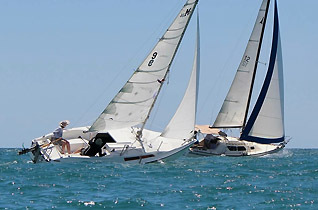 Members also race on Arizona lakes. 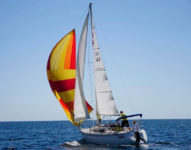 A group cruise follows the international regatta in the spring and fall, and members cruise along the Mexican coast. 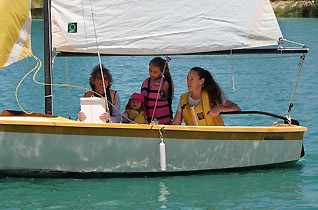 Beginners and novices can quickly gain skills and confidence through the club's Learn to Sail program. 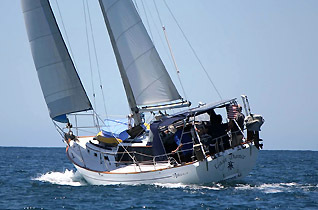 We generally offer the program in April. 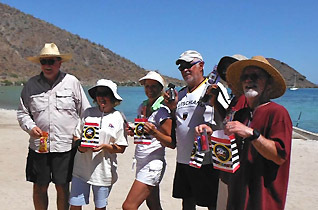 The club has meetings, parties, picnics, and other enjoyable social events scheduled throughout the year. 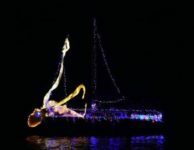 Photo by Terri Honaker Sebastian Steve and Francie Durand’s Second Sun first place finish in the 2017 San Carlos Light Parade. That’s an octopus, not Steve falling off the boat. Very clever lighting. Congratulations.